Member of: UN, Arab League, OAU, IAEA, ICAO etc. Conscription: Six-week military training period. Sudan’s military is large and relatively well equipped, and is bolstered by paramilitary, irregular tribal and former rebel militias. The Sudanese Armed Forces (SAF) are combat hardened, having fought in various conflicts in recent times, including the Sudanese Civil War, Darfur Conflict, Sudan-SPLM-N conflict and the 2012 South Sudan-Sudan border conflict. Nevertheless Sudanese army soldiers are considered to be largely ineffective, poorly motivated and politically unreliable. During the 1990s purges eroded the army’s capability and command authority. Sudan has acquired vast amounts of military hardware over the last decade, primarily from the East using oil money. China and Russia are the country’s biggest suppliers, with Russia providing aircraft like Mi-24 attack helicopters and Mi-17 transport helicopters and China providing aircraft and armoured vehicles. Sudan has used such equipment in Darfur in spite of a United Nations arms embargo. The Air Force in particular continues to receive new hardware, replacing some of the many aircraft that it has lost to crashes and rebel action. Since the 1990s Chinese, Russian and Iranian companies have helped Sudan develop its domestic military industry, which manufactures small arms, artillery and armoured vehicles. The Military Industry Corporation (MIC) was established in 1993 to manufacture weapons and equipment for the Sudanese military and is now marketing its products internationally. Products include recoilless rifles, mortars, rocket launchers and upgraded armoured vehicles. Sudanese military acquisitions are ongoing, particularly due to the numerous security concerns Sudan faces, notably the rebel Sudan People Liberation Movement North (SPLM-N), as well as the Sudan Revolutionary Front (SRF), which also includes rebel groups from Darfur. In addition, Sudan is maintaining a strong military due to tensions with South Sudan. As a result of conflict in Darfur, there are some 20 000 uniformed personnel stationed in the area as part of the Unamid peacekeeping operation. The African Union/United Nations Hybrid operation in Darfur (Unamid) was established in July 2007 to protect civilians, provide security for humanitarian assistance, monitor and verify the implementation of agreements, assist the political process, promote human rights and the rule of law and monitor the borders with Chad and the Central African Republic. Due to the conflict in Darfur, Sudan’s president and defence minister have been charged with war crimes by the International Criminal Court (ICC). External	 •	Military tension between Sudan, Egypt, and Ethiopia concerning the use of the Nile River are continuing. •	In 2012 Israel launched an airstrike against a suspected weapon production site inside Sudan. •	In late 2013 it was reported that Chad has launched military strikes against rebel targets in Sudan. Internal •	Insurgencies are continuing in Darfur, the Blue Nile state, and the South Kordofan state. Regional	 •	Security issues in Sudan’s neighboring states such as Chad, Egypt, and Ethiopia may affect Sudan’s foreign security policy. 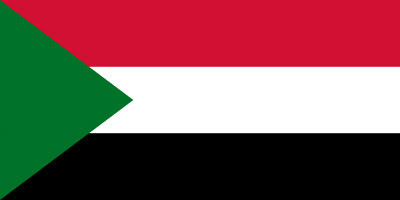 Political	 •	Since 2011 and the advent of the Arab spring there has been increasing pressure on Sudan’s government to reform the country’s political system. Economic •	Sudan’s economy grew substantially since the country started exporting oil but this has fallen dramatically since South Sudan became independent in 2011. •	Agriculture still remains an important part of Sudan’s economy making up for 44 present of the country’s GDP.